You may wonder why a Durban curry is known as a Durban curry and why this is so important. The answer is simple. It is thought by many a curry enthusiast that the best curries in the entire world come from the city of Durban, in the South African province of Kwazulu Natal. Durban itself has a fascinating history, much like the rest of South Africa. When you first land in Durban, you will feel as though you have landed in India, Singapore or somewhere else in Asia which has a significant Indian population. In fact, most of South Africa's Indian population is concentrated in Durban. It, therefore, does not come as a surprise that many popular dishes from Durban have a distinct Indian twist to them, and the curries are not to be overlooked. But what is it that sets apart a Durban curry from any other curry? This is a good question and what we would conclude is the following. Durban curries are said to be much hotter than other curries and will often incorporate the use of hot and spicy cayenne pepper, or a very hot spice known as curry masala, which is different from store bought curry powder. The use of tomatoes, tomato puree or concentrate in Durban curries is another feature which sets it apart. This will normally result in its lovely red color. Some people opt to add paprika to the dish, however sticking with the tomatoes, you could not go wrong. You will often find the use of garam masala in Durban curries is very popular. But the real sweet spices you are trying to get at are either cinnamon, cardamom or cloves, or a combination of all three spices. As for us, we love using whole cinnamon sticks as it gives that hint of sweetness as well as adds a rustic touch to the dish. We also find that we tend to use different combinations of the three sweet spices depending on what kind of meat we are using. 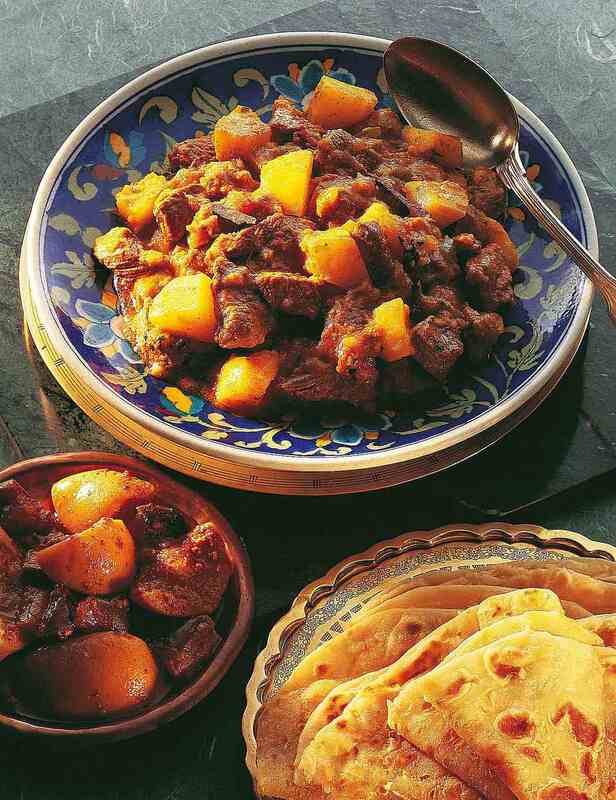 For instance, we are more likely to use cloves in a lamb or goat (mutton) curry as we believe these ingredients were made for each other. You will not find a Durban curry recipe which has not incorporated curry leaves into the dish, either by adding the leaves whole, or grinding them along with other curry masala spices when creating a homemade spice blend. You can, therefore, achieve creating a Durban curry with as many spice combinations as you please, but so long as you have the above four elements incorporated within your recipe, you are bound to achieve something close to the authentic Durban Curry.